Be the first to share your favorite memory, photo or story of Eugene . This memorial page is dedicated for family, friends and future generations to celebrate the life of their loved one. Eugene (“Gene”) Vincent Jaenke, 82, of Fall Creek, WI passed away unexpectedly on May 31st, 2018. Gene was born May 25th, 1936 to the late Rudolph and Alma (Hagedorn) Jaenke in Ludington, WI, where he spent his time growing up and farming. He attended Woodland Valley School and Cadott High School. He was baptized and confirmed at Bethlehem Lutheran Church in Ludington. In his early years, Gene worked as a butter maker for the Ludington Creamery, and later on, he helped his sisters with various jobs at Jaenke Grocery on Highway 27. On January 13th, 1968 he married Virginia (“Ginny”) Dehnke at St. John Lutheran Church in rural Fall Creek, WI. Together they raised their two sons while he worked for the Eau Claire County Highway Department and Landfill. Gene will be remembered as a selfless man and hard worker. He sought joy in helping others out as much as he could. 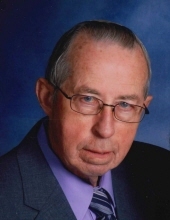 He was of the Lutheran faith and an active member of the St. John Lutheran Church; he was a member of the finance committee, a custodian, trustee and usher. He enjoyed working in his yard and gardens, grilling burgers and brats on the deck, as well as snowmobiling and going for motorcycle rides with his wife. Gene had a passion for Polka music. For many years, he played the accordion in his band “The Jaenke Dutchmen.” As years passed, Gene also spent numerous hours playing accordion as his wife, children, and grandchildren danced. Additionally, Gene had a love for sports. In his younger years, he was in various bowling leagues with family and friends. He also enjoyed watching the Milwaukee Brewers, Wisconsin Badgers, and Green Bay Packers (especially Aaron Rodgers). What he loved even more though than watching these teams was watching his children and grandchildren play sports and run. He will be lovingly missed by his wife, Ginny of 50 years; his children Jeffrey (Lynn) Jaenke, Kris (Megan Smoczyk) Jaenke; his grandchildren Kendra Jaenke, Brandon Jaenke, and Deklyn Jaenke; his brother James (Norma) Jaenke; brother and sister-in-law’s Lucille Webinger, Evelyn Kinderman, Joann Dehnke, Doris (Ernest) Dehnke, Duane (Dorothy) Dehnke, Vern(Kathy) Dehnke, Norma (Debbie) Dehnke, Janet Boyea and Doug(Karla) Dehnke; as well as many other nieces and nephews, family members and dear friends. Gene will also be missed by his dog Kirby. Gene was preceded in death by his parents Rudolph and Alma Jaenke; brothers Eldor and Cecil Jaenke; and Sisters Lillian Hudson and Elvera Jaenke; father-in-law Erwin Dehnke Sr., mother-in-law Minnie Dehnke; brothers-in-law David Hudson, Melvin Dehnke, Duane Kinderman, Erwin Dehnke Jr., Walter Webinger and Johnny Boyea; sister-in-law Nancy Gustafson and nephew Lyle Dehnke. A visitation will be held from 4:00 PM until 7:00 PM, Friday June 8, 2018 at Stokes Prock & Mundt Funeral Chapel, 535 South Hillcrest Parkway, Altoona, WI. A visitation will be held June 9, 2018 from 10:00 AM until 11:00 AM, with Funeral service to follow at St. John Lutheran Church, E11620 Co Rd JJ, Fall Creek, WI 54742, with Pastor Carlton Kangas officiating. Burial will be in the cemetery at St. John Lutheran Church. "Email Address" would like to share the life celebration of Eugene Vincent Jaenke. Click on the "link" to go to share a favorite memory or leave a condolence message for the family.